Avizia has helped many health systems explore the ways technology can expand their service offering. Each organization comes to this exercise with their own unique set of priorities. But all must align their investment in technology with their current and future business goals. What goals are we trying to achieve? What metrics will we use to measure success? Are we using telehealth to virtualize a practice or virtualize our health system? 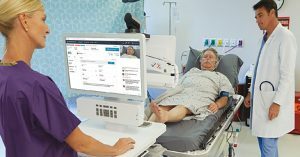 How can we integrate telehealth in the continuum of patient experience? How can telehealth extend our efforts to manage and coordinate care? These goals determined specific design requirements for their virtual clinic and shaped HSHS’s commitment for system-wide adoption. 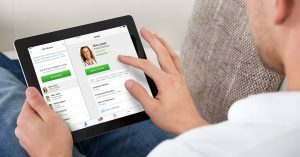 To grow their patient population, we had to create a virtual care program that included robust support for digital and traditional marketing to generate awareness of and reasons why to use the service, and to optimize the consumer experience to eliminate friction for consumers seeking care. To that end, the virtual clinic was operated entirely under the HSHS Medical Group. Consumers recognize a familiar community institution in the branding, letting them know that this is clinical care they can trust. 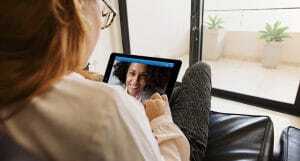 To meet consumer and corporate buyer needs, the virtual clinic needed to serve distinct patient populations with experiences configured for their unique needs. HSHS created access for consumers in their service area with a virtual clinic entry point open to the public. HSHS also offered the service to local employers extending virtual care access to their employees as a benefit. This flexible design on the front-end of the virtual clinic serves each populations’ needs while maximizing efficiencies within clinic operations. Incorporating a new offering to HSHS’s list of services wasn’t complete without educating staff on the importance of the virtual clinic. Through grassroots efforts—lunch and learns, newsletter communications, and collateral—HSHS educated staff on how this new offering could extend their reach and more importantly provide patients with convenient access to its services. To truly adopt the benefits of the virtual clinic, HSHS decided to offer a virtual clinic program for employees showing them the value of virtual care. This inclusion of telemedicine created employee advocates and helped increase patient utilization by more than 50%. Learn more about their virtual care program by listening to their recent webinar with Becker’s Hospital Review. Virtual clinics can support many value propositions for health systems, but achievement of their full impact depends on alignment of the service to your top priorities. Regardless of the avenue a health system takes in executing virtual care into their organization, these strategic questions are vital for methodical planning and strategizing in order to achieve overall success and longevity of a virtual clinic.